I love a good sunset, the colours that get splashed across the sky are reflected back in everything we see. I wanted to paint warmth, peace and contemplation - the sigh at the end of a day. I need to thank my sister for taking me to find this spot and for stopping me hanging off the cliffs for photos. 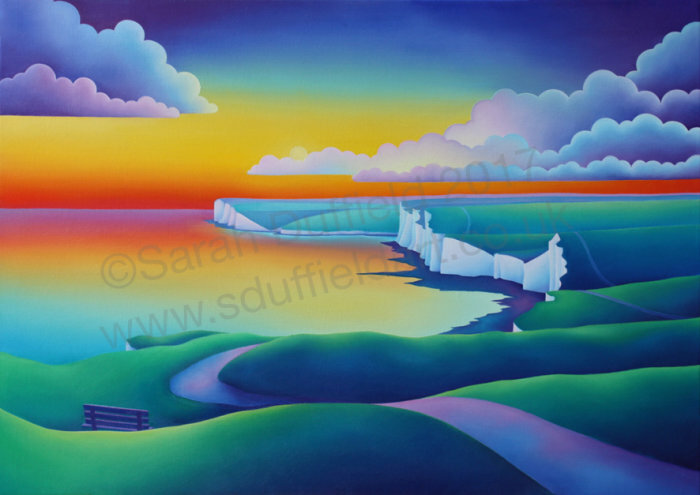 Sun Set looking towards Birling Gap. 51 x 38 cm including border.